A versatile artist, French symbolist Odilon Redon worked for the early part of his career in sculpture, etching, charcoal, and lithography—mysterious, dreamlike, occasionally haunting works in black and white that toy with shadow and the imagination. 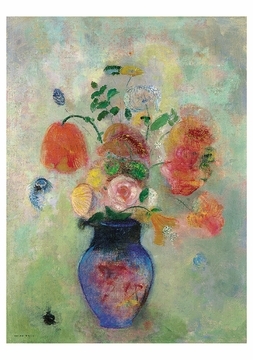 Around the turn of the century he switched to vibrant oils and pastels, emphasizing light, bright imagery. 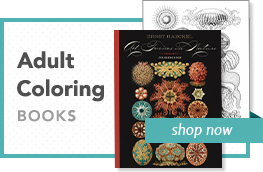 Color became another means of expression. 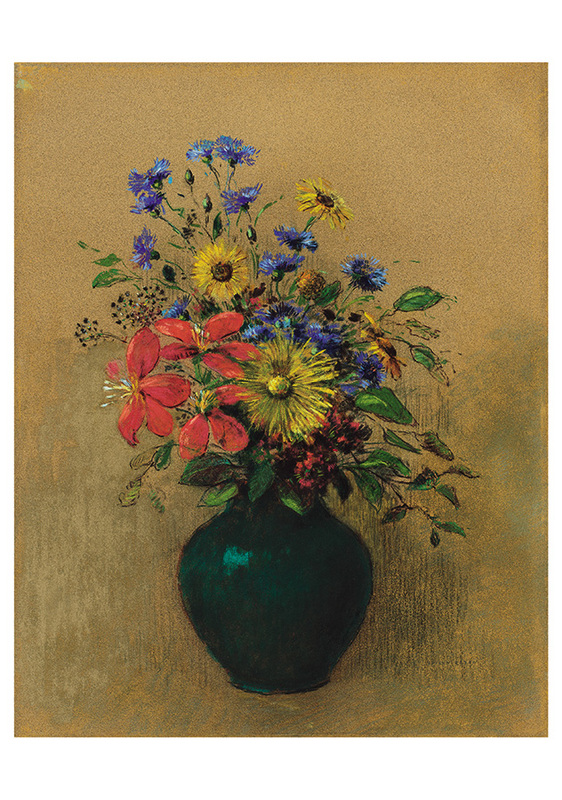 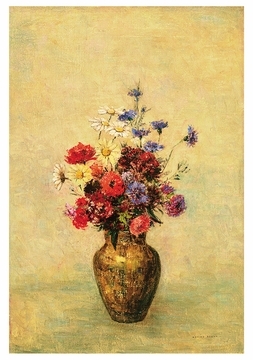 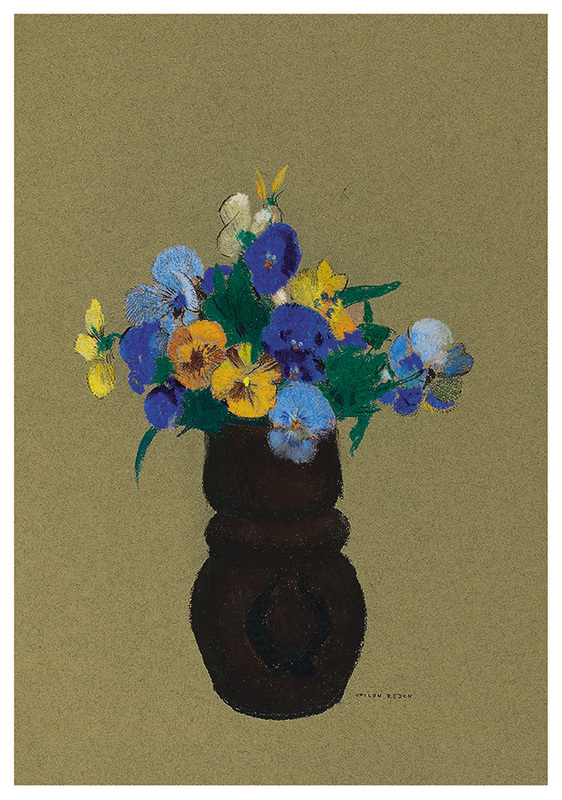 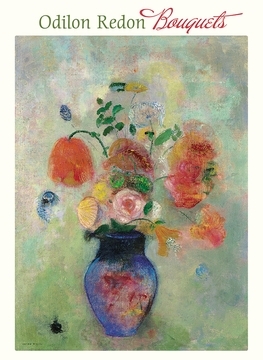 A contemporary of the impressionists, Redon, too, had an eye for nature but his blooms could be inventive, sometimes for the sake of pattern and shape. He set his flowers in abstract environments and gathered bouquets of loosely defined leaves and velvety petals that convey mood through tone. Subjects still included the mythical, fantastical, and spiritual, but the previous tension disappeared.